Golden GaPa Central Apartment 5 in Garmisch-partenkirchen is an apartment building. 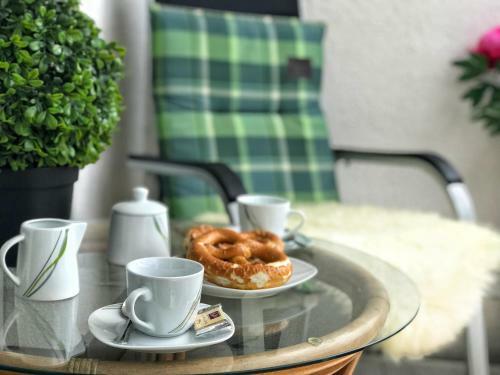 Offering spacious apartments with free Wi-Fi, Luxus Apartments im Herzen von Garmisch 2 is centrally located in Garmisch-Partenkirchen. 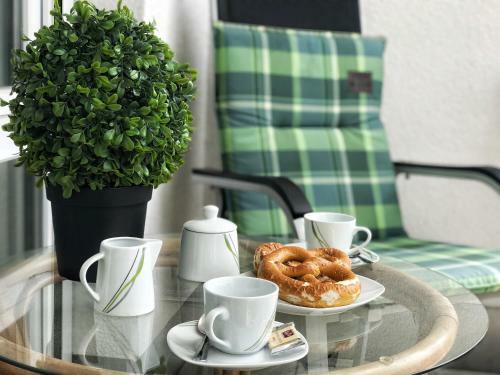 It lies just 500 metres from Garmisch-Partenkirchen Train Station. Luxus Apartments im Herzen von Garmisch 2 feature wooden furnishings, a flat-screen TV, and a balcony with views of the mountains. Each also includes a bathroom with a bath and a hairdryer. Guests can prepare meals in the kitchen, which is fitted with a dishwasher and a microwave. A variety of sh...ops, restaurants and bars can be found within a 2-minute walk. The surrounding area is ideal for activities such as skiing, hiking and cycling. The Zugspitzbahn - Tal Train Station (500 metres) and King's House on Schachen (600 metres). Munich International Airport is 122 km from the property. 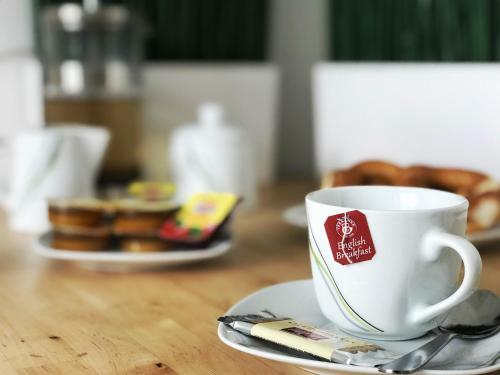 Offering spacious apartments with free Wi-Fi, Luxus Apartments im Herzen von Garmisch 2 is centrally located in Garmisch-Partenkirchen. It lies just 5...00 metres from Garmisch-Partenkirchen Train Station. 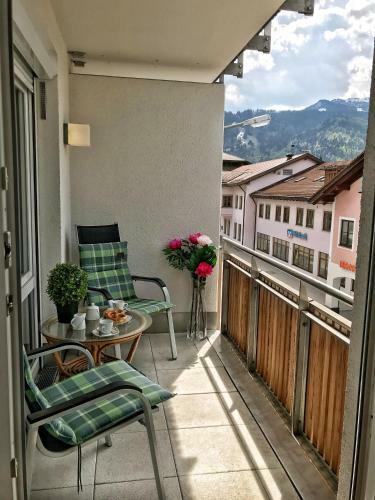 Luxus Apartments im Herzen von Garmisch 2 feature wooden furnishings, a flat-screen TV, and a balcony with views of the mountains. Each also includes a bathroom with a bath and a hairdryer. Guests can prepare meals in the kitchen, which is fitted with a dishwasher and a microwave. A variety of shops, restaurants and bars can be found within a 2-minute walk. The surrounding area is ideal for activities such as skiing, hiking and cycling. The Zugspitzbahn - Tal Train Station (500 metres) and King's House on Schachen (600 metres). Munich International Airport is 122 km from the property. When would you like to stay at Golden GaPa Central Apartment 5? Children and extra beds All children under 3 years stay free of charge for children's cots/cribs. All children under 6 years are charged EUR 15 per person per night when using existing beds. The maximum number of children's cots/cribs in a room is 1. There is no capacity for extra beds in the room. Supplements are not calculated automatically in the total costs and will have to be paid for separately when checking out. A damage deposit of EUR 150 is required on arrival. This will be collected by credit card. You should be reimbursed within 7 days of check-out. Your deposit will be refunded in full via credit card, subject to an inspection of the property. This property will not accommodate hen, stag or similar parties. Please note that the check-in and key-collection take place at: Marienplatz 11, 1 Floor, A&E GmbH, 82467 Garmisch Partenkirchen. Please note that the company charges a late check-in fee for key delivery after 18:00 (EUR 10 after 18:00, EUR 15 after 21:00). All requests for late arrival must be confirmed by the property. Towels or bed linen are not included but can be rented on site for a surcharge of EUR 6 per person per stay. Alternatively guests can bring their own.